Have the endurance of a Shaolin monk? Prove it and Sony will reward you handsomely. 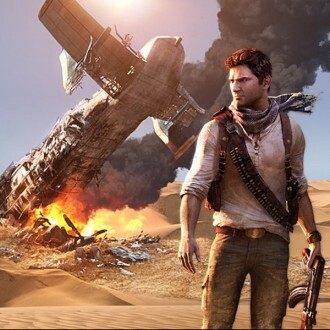 As part of its Uncharted 3: Drake's Deception contest, the company is offering $10,000 to the player who can hold their arm up the longest. The event launched this week and ends on November 15. Each day, the person with the best time will earn $500. After two weeks, the player with the longest time will claim the $10,000 grand prize on top of one daily prize. You should probably skim the FAQ page as there are tips to ensure your efforts aren't wasted. To get started, head over to grab-the-ring.com, register and fire up your webcam. After that, you should see a ring floating on your screen. To initiate the game, you have to hold your hand in the designated area for three seconds. Once the timer starts, you have to remain as still as possible. You can make three mistakes, but it's game over on the fourth. Gamers aren't exactly revered for their warrior physique, so you're allowed to prop your arm up to make the task less grueling. Some sites have reported that the best time is currently eight hours and 45 minutes, but we haven't found that on the official contest page. From what we see, two individuals have won the $500 daily prize so far: Shalim Nunez-Rivera with a time of just over two hours and Dan Dombroski made it past four and a half. A third contender, Nathan Graves, might secure the third daily prize with a time of over six hours. There's also a slew of rewards that require less time. Holding your hand still for 15 seconds will earn you an in-game t-shirt for participating. If you can last two minutes you'll receive in-game cash and there are seven other in-game achievement items, including several exclusive weapons. We've included the complete list of prizes below.